“The Wizard of Oz” is considered a classic and is one of the finest and most successful Hollywood musicals of film history: A tornado takes the fourteen year old Dorothy from Kansas to the magical land of Oz. There she finds out, that she can only find her way back home with the help of the Wizard of Oz. 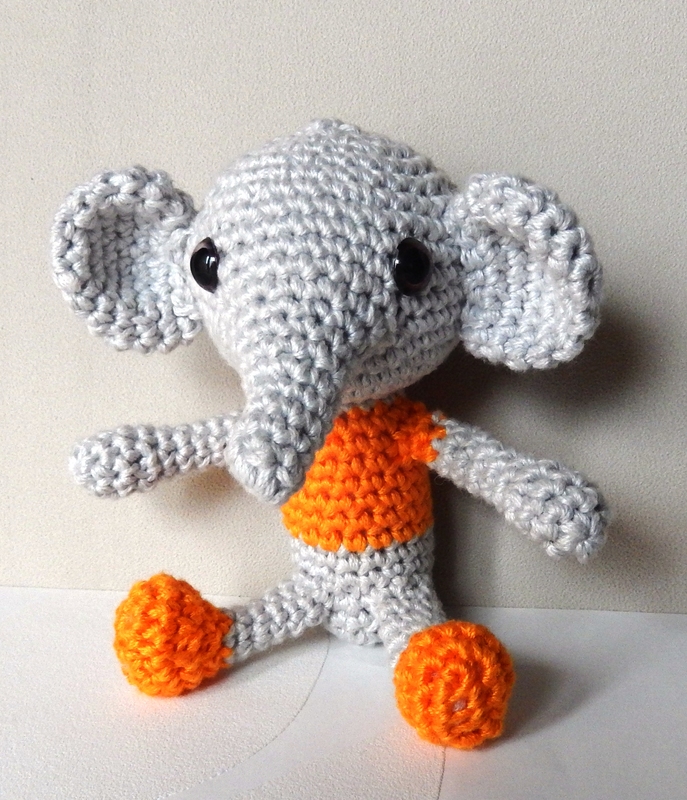 I always wanted to have a small elephant for the Miniami house, but what kept me from crocheting until now was the trunk. 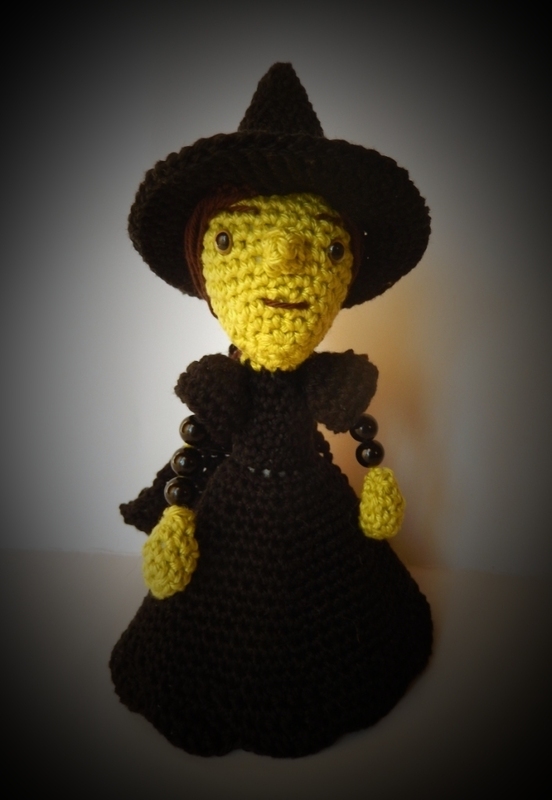 I did not want to sew it onto the head and I did not want to begin the head from the trunk. I have a lot of fondest Easter memories as a child. Of course, coloring Easter eggs were one of my favorite things to do at Easter. But one time we kids (there were three of us) got a very great gift: Roller skates! 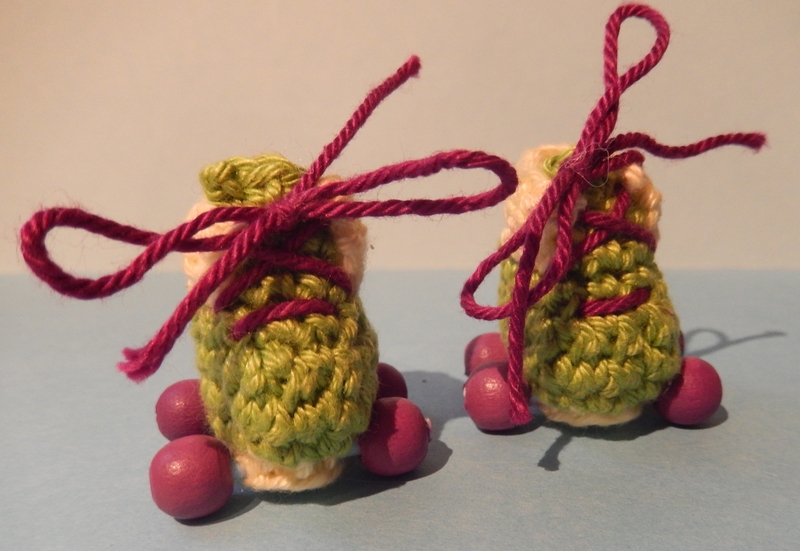 Around Christmas I had the idea of the Mini-Babies and the last few weeks I found the time to crochet them. 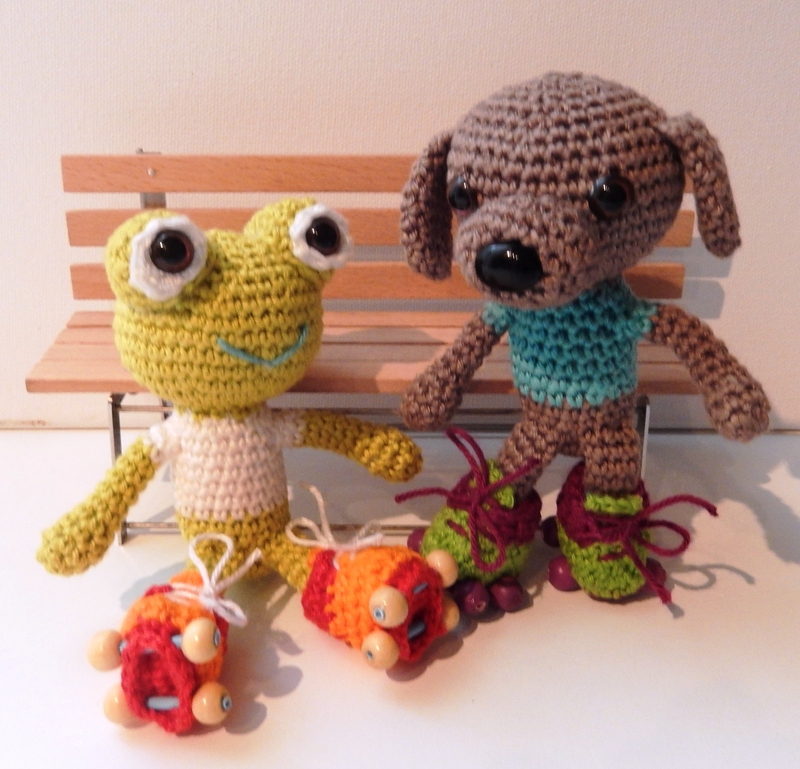 The special thing about them: The arms are crocheted to the body and therefore they always sit at the right place. But don’t be afraid of it: The pattern contains many pictures and I’ll explain everything step by step. I hope, I will be able to share my stories and instructions again this year. 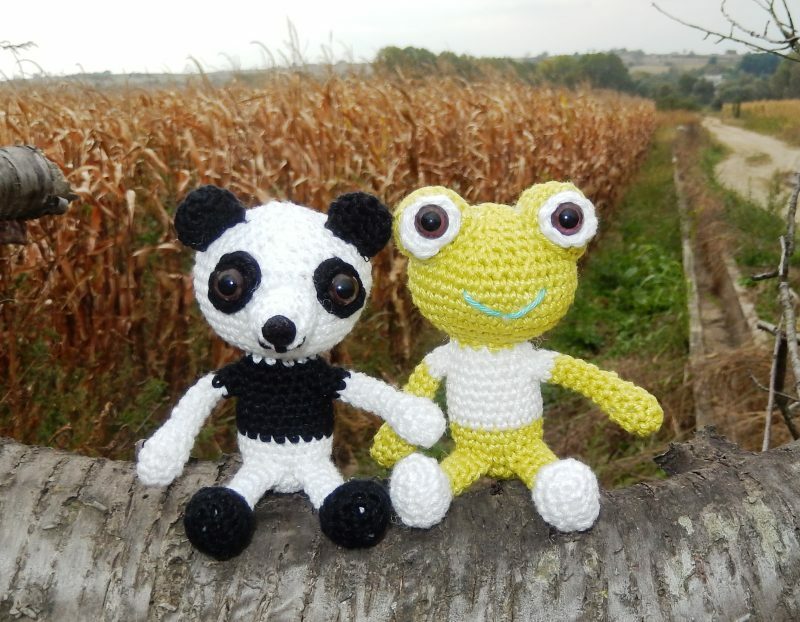 I have some ideas that I would like to make and there will also be some more patterns for the Miniami house: I will add a few new animals and I‘ll try to crochet small pieces of furniture. I hope that I’ll find the time to implement all my plans. 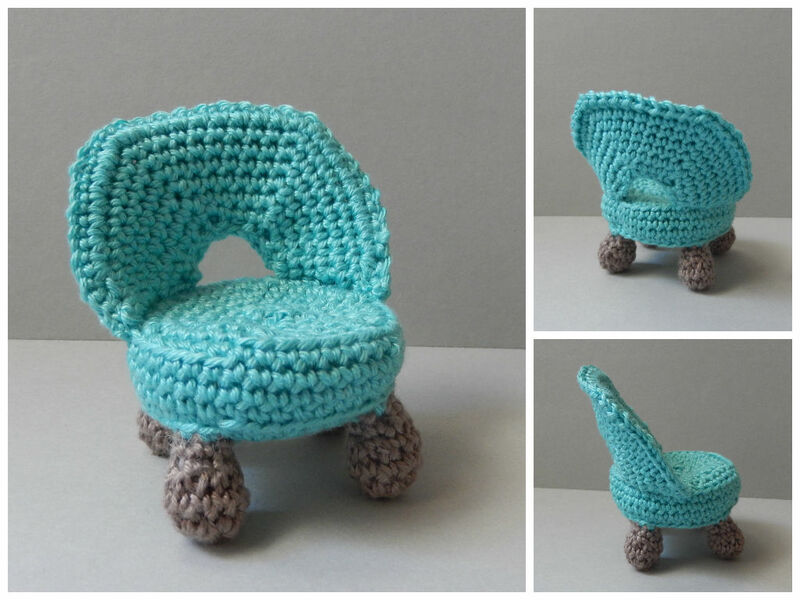 I have made so many tables and now I needed a cozy armchair. This is also a project that is suitable for beginners. The chair is made from the lower part of a Coca-Cola bottle, but you can also use a different bottle. Ich will euch diesmal zeigen, wie man aus einer Plastikflasche einen Tisch für kleine Puppen herstellt. Es geht ganz einfach und ist ein Projekt, das auch für Anfänger geeignet ist. Die genaue Anleitung findet ihr als PDF-Download am Ende dieses Beitrags. Autumn is my favorite season: The nature is full of colors and now there are things that I love: pumpkins, chestnuts, walnuts and apple pie! 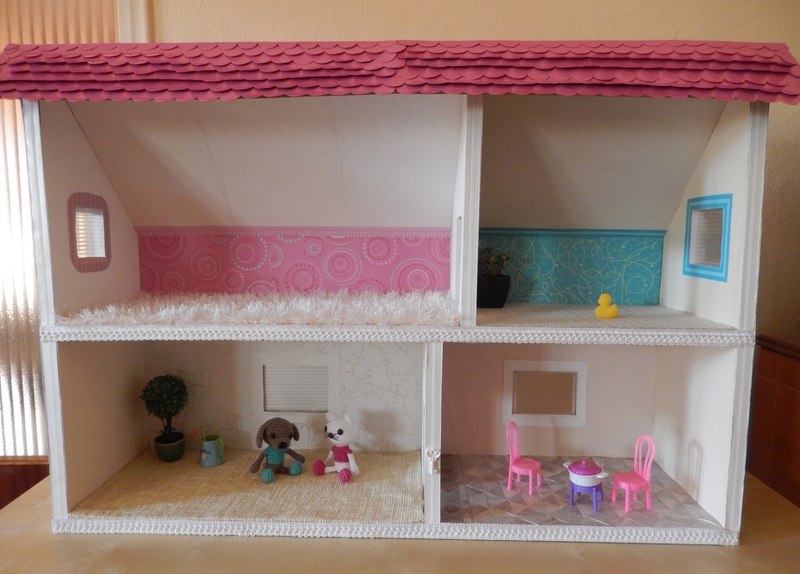 The Miniami house is finished, hurray !! !